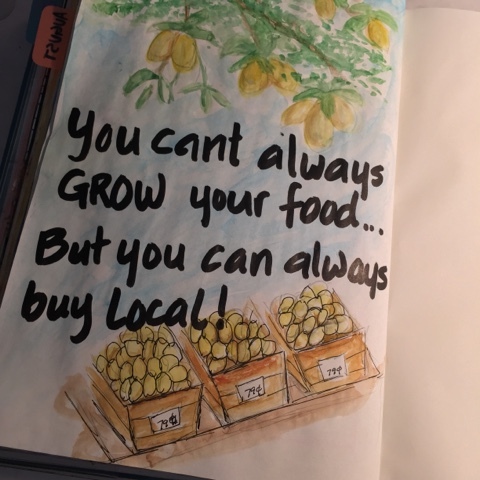 Art By Yukari: Buy Local, Prompts and Challenges! Buy Local, Prompts and Challenges! Being a part of Fauxbonichi Journalers on Facebook, I participate in lots of daily drawing and journaling challenges sponsored by various artists and bloggers. They are fun and I try combining as many as I can. For example, the piece above combines one challenge that had me illustrate 'grow' and another challenge to draw 'local'. I do have a fabulous lemon tree in the backyard and thank goodness it gets watered by a timer and takes no effort on my part because have the brownest thumb ever! And now that I am enjoying the low carb lifestyle, I am eating more vegetables. Your local farmers markets are great for fresh produce and other interesting finds. 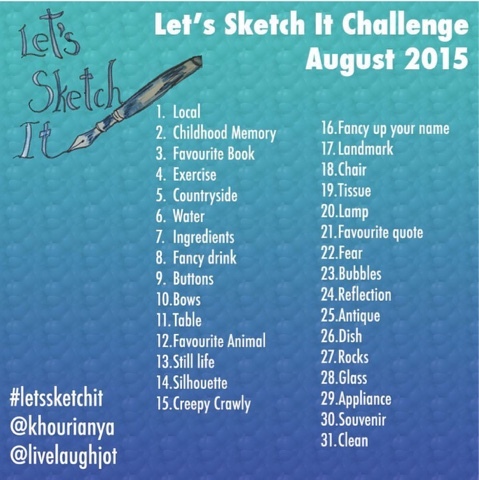 Most of the daily art comes from these challenges and prompts. 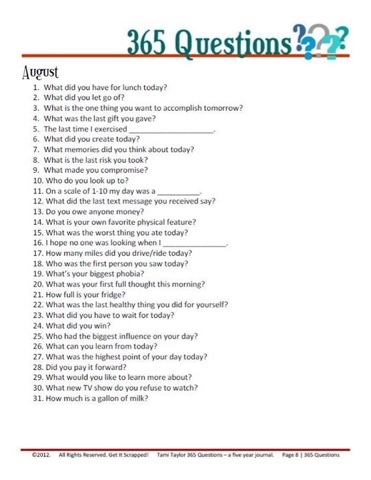 If you participate in the following challenge and follow its instructions for posting, you will be entered into a drawing to win art supplies. 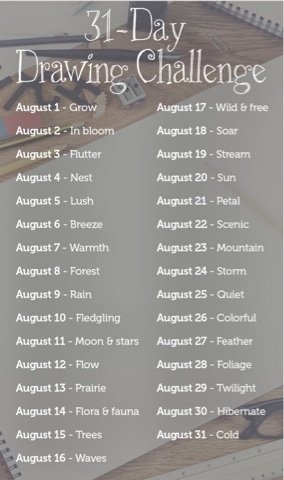 And if you want to practice your hand lettering, you can always participate in this! She also has a YouTube Channel with hand lettering tutorials that are hilarious, informative, and sprinkled with lots of cursing.. They are great because she shows you how to create lots of interest in your own handwriting!! 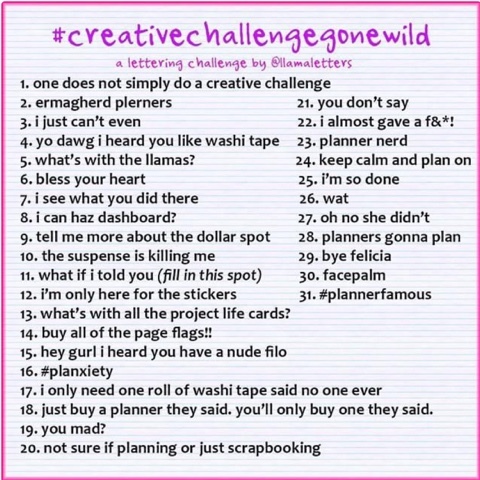 I think these challenges and prompts help you to overcome the fear of the blank page. Let's get drawing!! And follow me on Instagram to see my daily art! 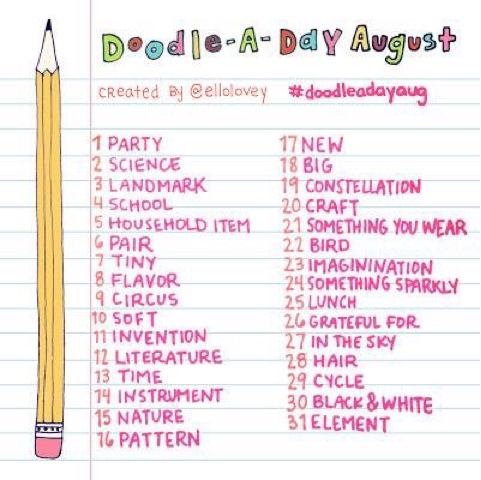 These doodling/art prompts remind me a lot of creative writing prompts that help you to get "warmed up" for the writing process. Do these prompts ever inspire one of your best works of art? Greater readers might be considering their writings For those who individuals who write posts very involved themselves together with composing great articles for example you. Thank you.